Rarely do we have the opportunity to offer for sale a property like this. 40 +/- ac. of rolling pasture land with level areas. 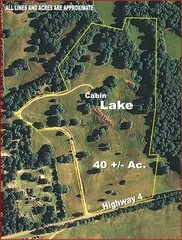 There is a 4 +/- acre Lake in front of the 2 bedroom cabin with a wonderful view of the surrounding area. This property is located on Hwy 4 approx. 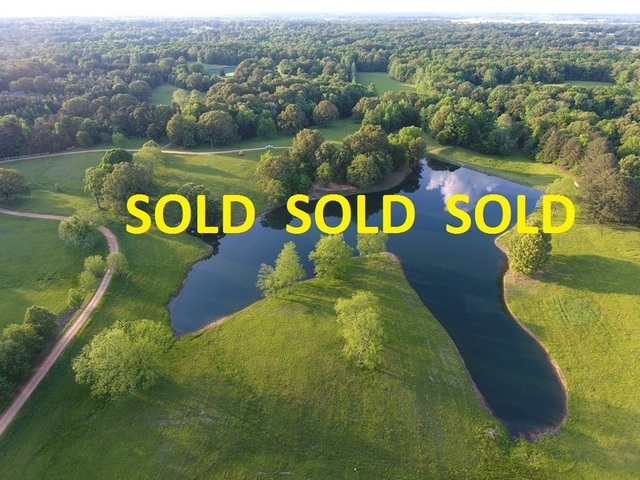 5 1/2 miles west of Senatobia. 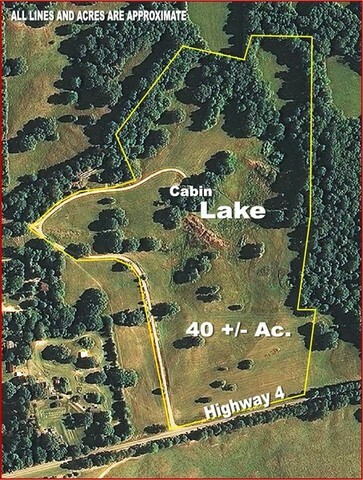 A winding drive leads up to the cabin which is far from the highway traffic. There are several huge scattered oak trees throughout the land and pockets of pine and hardwood forest. This is a very livestock friendly area of the county. The school bus runs in front of the land taking children to the Strayhorn School which is approx. 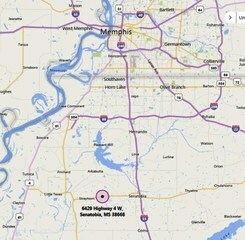 4 miles away and is a great K-12 county school. 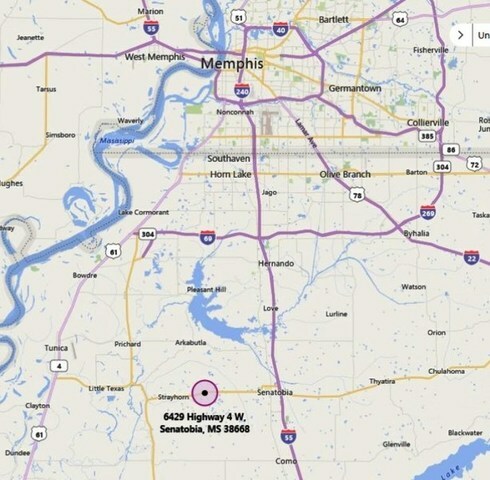 Access to different locations is easy with I-55 Senatobia being 9 miles away, 25 miles to I-69 Hernando, 39 miles to Memphis Airport and 50 miles to Fedex Hacks Cross Headquarters. There is more than enough room for your barn, workshop or rent the cabin out and build the home of your dreams there. Come live in an area where the people are friendly, will stop what they are doing to help you and will wave as you drive by. I do. The owners call this place ” The Ponderosa” Call to set up an appointment to see this property. Disclaimer: this property belongs to my family and I will not be acting as a buyers agent or sellers agent.